Sen. Rand Paul, R-Ky., speaks to supporters in Hebron, Kentucky, Aug. 11, 2017. 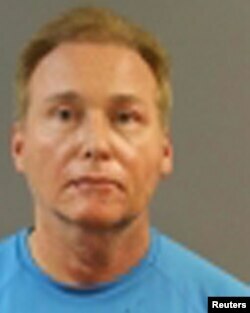 The neighbor accused of attacking Republican Senator Rand Paul pleaded not guilty to a misdemeanor assault charge on Thursday. Rene Boucher, a retired anesthesiologist, faces up to a year in jail if convicted of fourth-degree assault. Boucher, 59, was released from jail Saturday, a day after the attack, on a $7,500 bond. Paul tweeted that he suffered six broken ribs and has excess fluid around his lungs. Prosecutors have said the charges against Boucher may change because of the severity of the lawmaker's injuries. Rene Boucher, 59, of Bowling Green, who Kentucky State Police say assaulted U.S. Senator Rand Paul at his residence, is seen in this Warren County Detention Center photo, in Bowling Green, Ky., Nov. 3, 2017. Rob Porter, a close friend of the lawmaker, said this week that Paul doesn’t know why he was attacked. Paul was mowing his yard and had stopped to remove a limb when Boucher tackled him from behind, Porter said. Paul was wearing ear protection and didn't hear Boucher approaching. Paul, a 2016 presidential hopeful, is expected to be away from Washington during a time when his vote could be crucial to his party.